It’s fair to say that every stone we stock is checked by expert eyes and truthfully described, so you receive only a nice surprise. All prices shown herein are indicative, please call office to confirm prices. 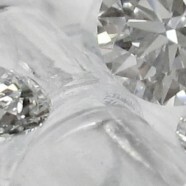 For details of our GIA Certified diamonds from 0.30pts to 0.49pt contact the office. We have Studs available in various sizes. – call us for further information. DISCOUNTS AVAILABLE FOR PROMPT PAYMENT.